Yesterday on QUILTsocial I showed you how I quilted my table runner using the Brother NQ900 machine. After finishing my table runner, I decided that I wanted to try machine applique using some of the blanket stitches on the Brother NQ900. There are several stitches that would be suitable and they can be widened or lengthened as required. Again I made some stitch samples to find the correct size and look for my project. I was using flannel fabric and a heavy-weight thread so I changed to a size 14 top-stitch needle. For my first 5 test stitches, I didn’t use a stabilizer on the back. For the rest of them I used my favorite telephone book paper as a stabilizer. It really does make a difference to have the stabilizer as you can see in the picture below. The un-stabilized fabric on the left tended to bunch up a little, but the stabilized fabric lays very flat. This photo shows to array of blanket stitches on the Brother NQ900. Stitches on the right have a paper stabilizer underneath. 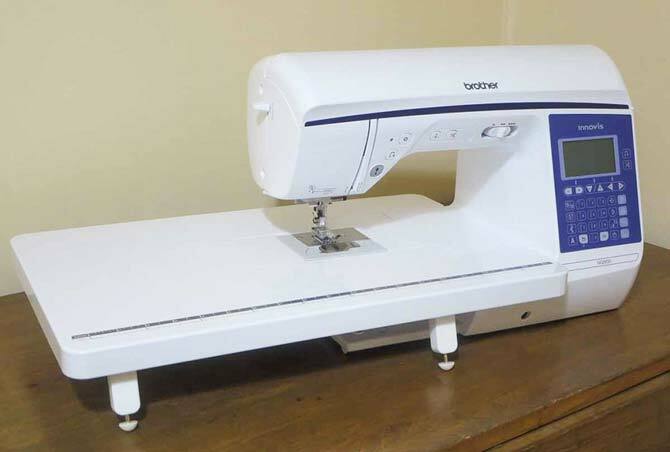 I had two threads that I wanted to use – a heavy-weight cotton and a variegated light-weight polyester. Heavy-weight cotton thread on the left. 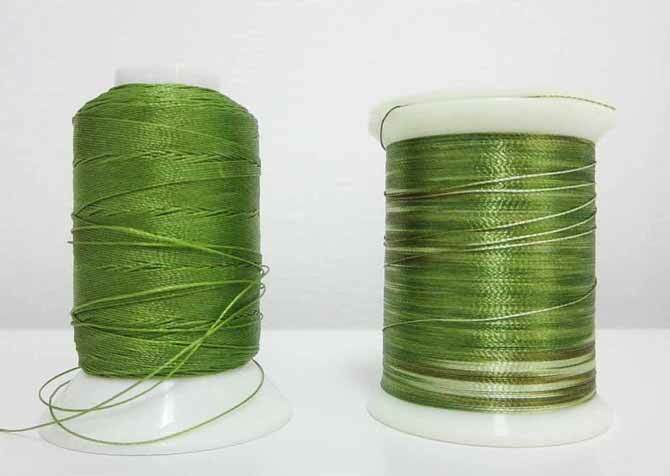 Light-weight polyester thread on the right. When doing machine applique it’s important to stitch slowly so I moved the sewing speed controller to a very slow speed. You also have to lift the presser foot often to maneuver the curves. The knee lift attachment on the NQ900 is very helpful for this. 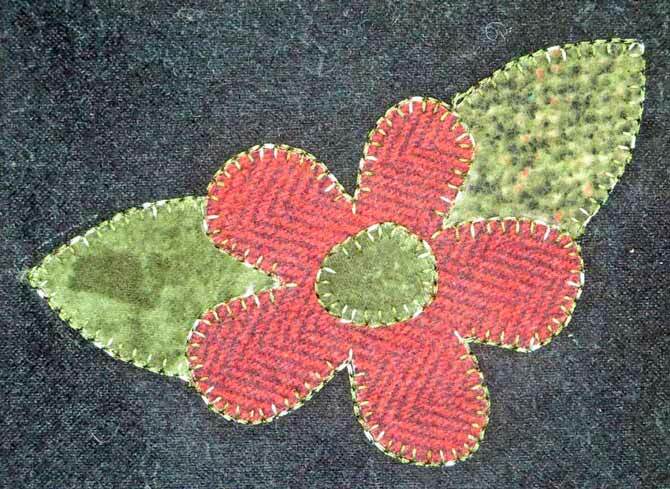 Here’s my first applique using stitch #72 from the utility stitch panel and the open-toe embroidery foot. Here’s my sample with all of the stitching completed. For my second applique sample I used the variegated light-weight thread with stitch #38 which I adjusted to make longer and a little wider than the default setting on the sewing machine. 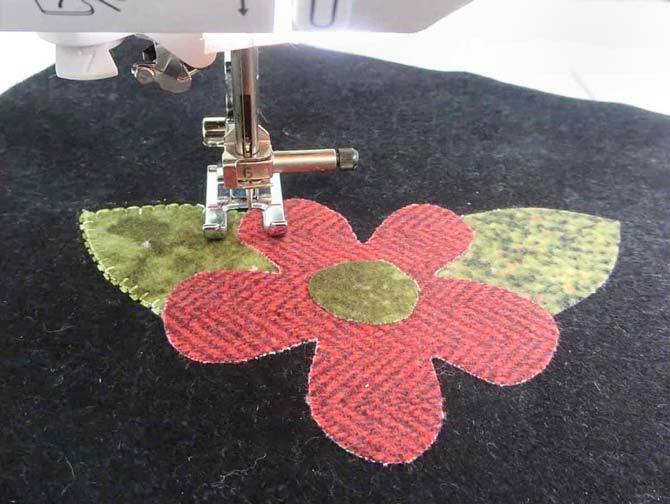 I loved doing machine applique using the Brother NQ900! Come back tomorrow and I’ll show you even more of the beautiful decorative stitches on the Brother NQ900 machine. I love how we can learn so much here…I never even thought of using phone book pages as a stabilizer. Thanks Elaine. Glad you found that tip about using phone book pages useful. Thanks for the hint about using phone book paper for a stabilizer! I don’t do much machine applique and don’t usually have stabilizer on hand. Will remember this for in the future! It works well for me! Glad you found this helpful. 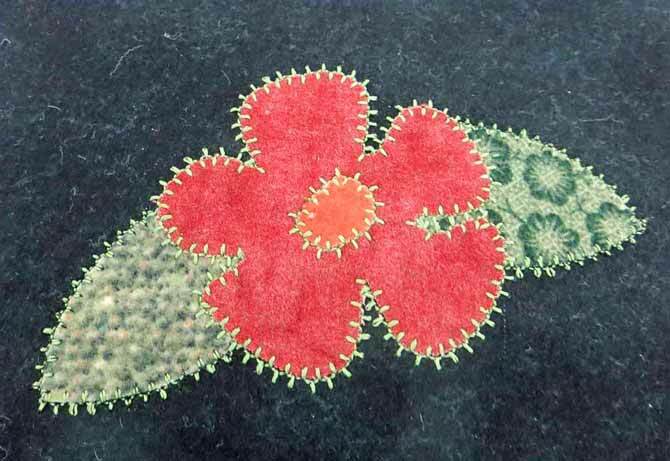 I have a brother and a singer – I just can’t seem to find the applique stitch – the one on the brother is backwards. I have to sew in the satin stitch – which I really do like. Check the manual for your machine. 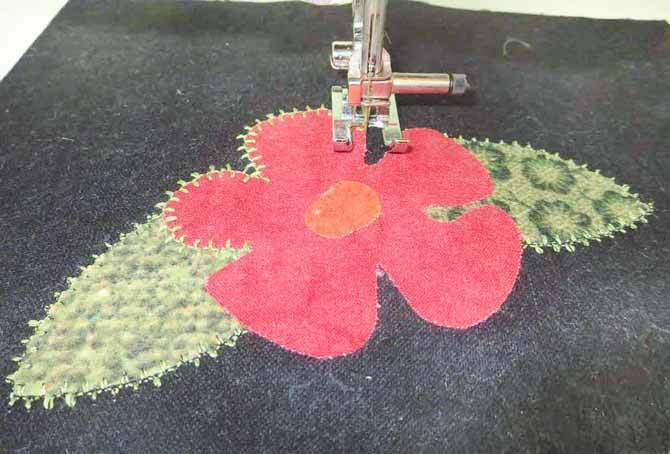 Quite often there is a mirror image button that will turn the stitch the right way.